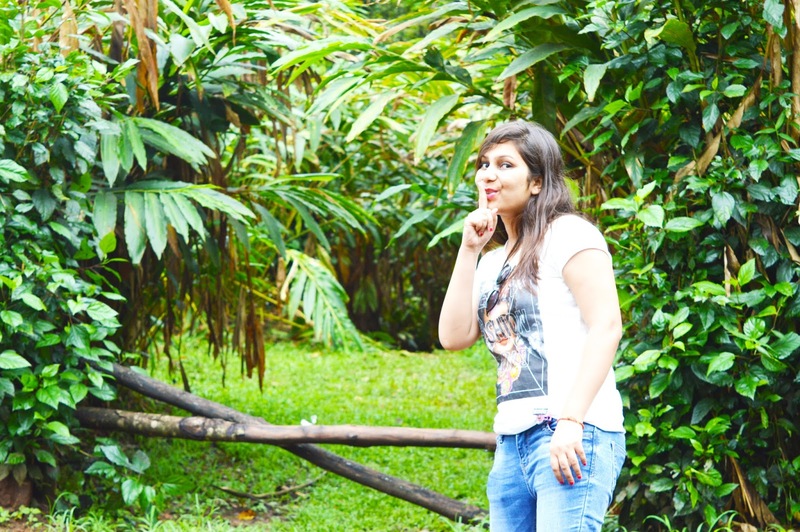 What I expect out of vacation is all there in Thekkady. 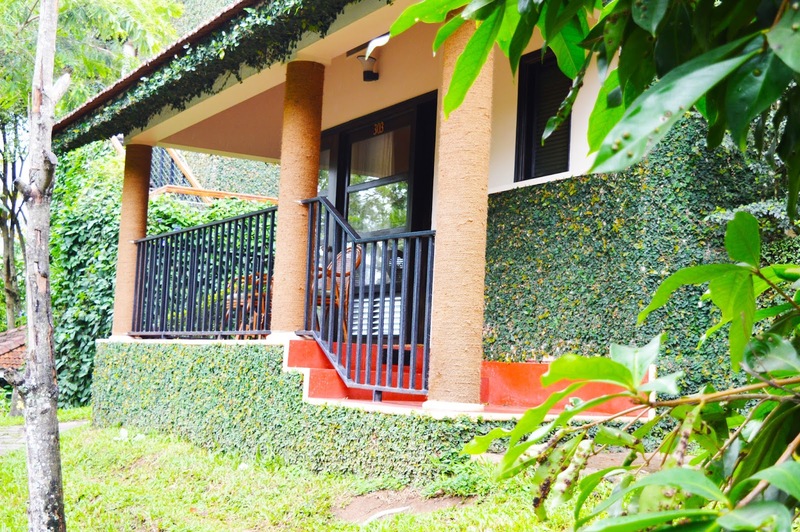 An all rounder in terms of providing us with Scenic Beauty, Grasslands, Lakes, Waterfalls, Wildlife and the tantalizing aroma of fresh spices. Thekkady I must say made me feel nostalgic. The aroma of spices in the air made me feel like the place to be my mom’s kitchen. Seriously! This is all about when I and Nitin, were on the way to Thekkady after covering Munnar (Read Previous Post here). Thekkady is located in Idduki District of Kerala. Successfully checking out from Misty Mountain Resort in Munnar we loaded ourselves and our luggage into our taxi. Sharman (Our Driver companion From Kottayam Taxi – details mentioned in the previous post of Munnar) was helping us in all ways. 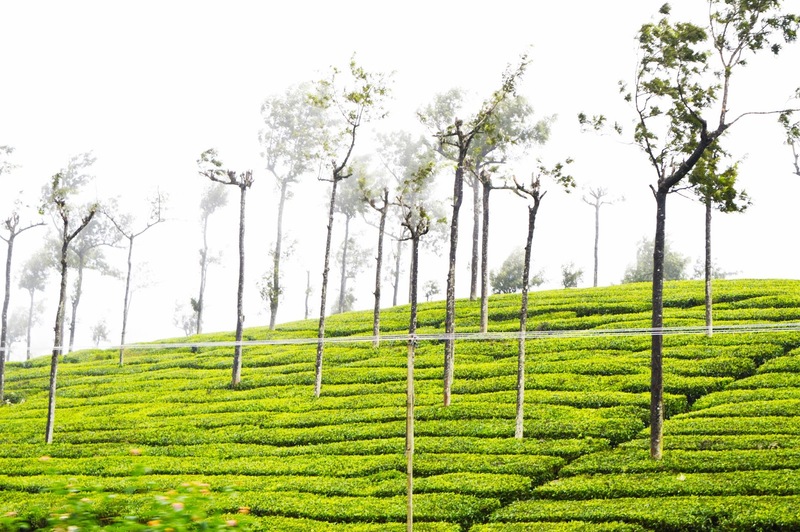 I was already ready with warm clothes now because the climate was too cold in Munnar even in the month of June. I had to wear extra layers to keep myself warm in Munnar. We started our journey very early morning so that we can get to see the most of Thekkady. Also it is advisable especially on the trip to Kerala, to leave early in the morning for your next destination. This is because every next destination is approximately at a distance of 130 kilometers. This way you can help yourself to avoid traffic and get maximum time for sightseeing purpose. Four to five hours of journey from Munnar to Thekkady didn’t bore us at all. We consider it a plus point of Kerala – Gods own Country. 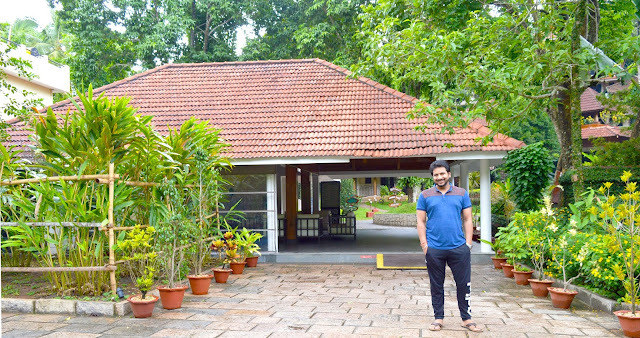 Kerala is beautiful all the way long. We got to see lots of nature stuff in between and multiple spots where we could take a halt and have some gala time. Here I am mentioning them all one by one. 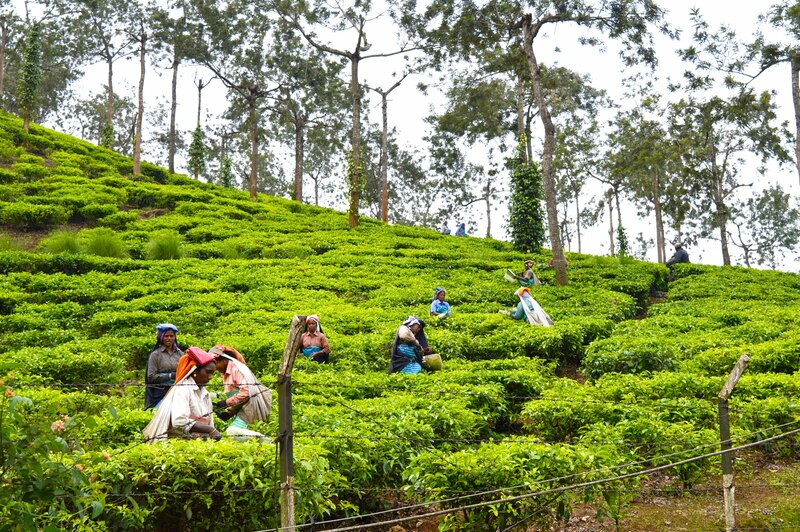 Spice Plantation Tour is something for which Thekkady is famous for. We got to see lots of Spice estates in between our way. Some of the estates were private but with the help of Sharman we got the chance to visit them. Spice in their most natural form was something that amazed me a lot. After knowing the process of their manufacture is again something that fascinated me a lot. 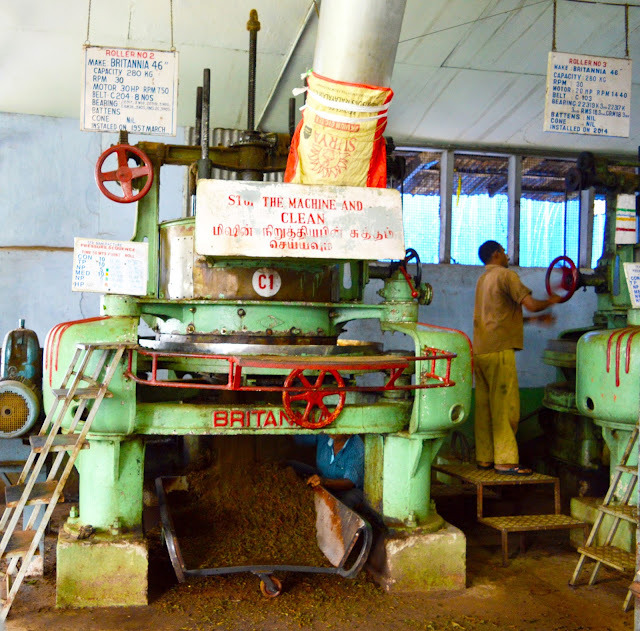 It requires a lot of hard work for the manufacturing of these spices. These spices which are seeded and grown by the local people of Kerala are exported to all of India and many of other countries. 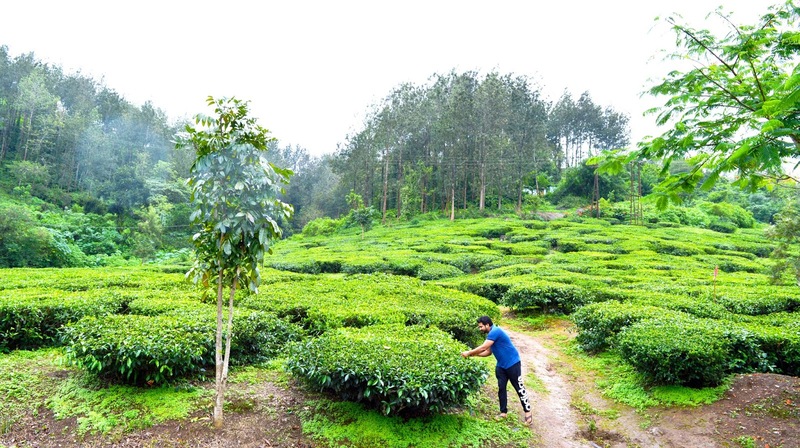 We can say that Plantation is one of major source of Income of Kerala. Thekkady is also famously known as Spice Capital of world. Coming to the variety of spices that are cultivated in Kerala include cardamom, cinnamon, coffee, pepper, tea, ginger, garlic and few more. 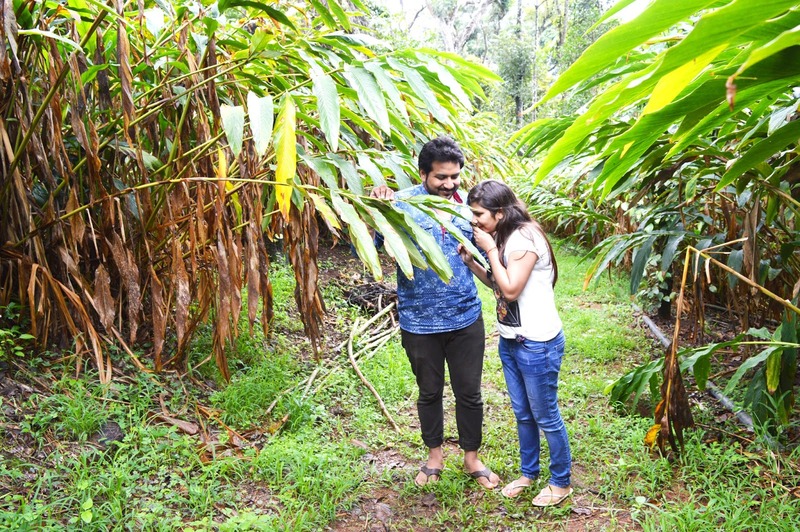 We encountered a big private estate of cardamom on the way. We took a halt there. Sharman too has keen interest in travel. And also well aware of our interest in knowing more of Kerala, he took the pain to talk to owners to let us traverse through the estate. Such a kind person he is. 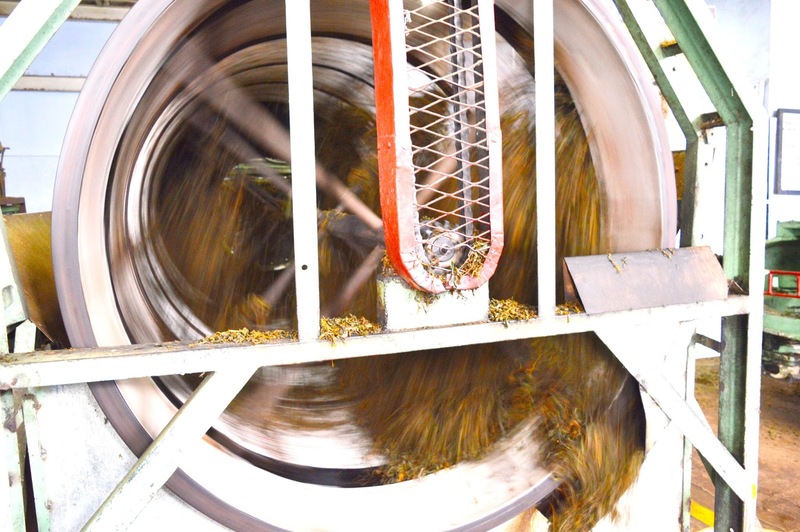 Then we went inside and Sharman shared lots of information with us about cultivation of cardamom and other spices. Sharman asked me to taste the cardamom in its most raw and natural form. The smell was so real and the taste assured me that it’s the real cardamom which we use in our kitchen. Wow. 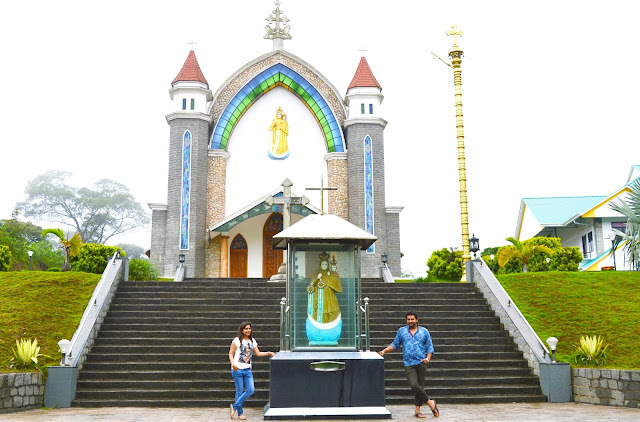 Mailadumpara Church situated in the Idukki District of Kerala was also spotted in between our way. We also took a halt here. It’s a very decent and quiet place to spend some quality time here. Check out the pictures below. The staff was welcoming and very polite in nature. The rooms were clean and tidy. The built of the room and the furniture were all amazing. Few cold drinks and fruits were complimentary for us already available in the room. One novel was also present there in the drawer of the dressing table which was a surprise packet for me. I loved it. Everything was perfect and in good condition. A small balcony outside each room was adding extra fun to my stay at the resort. View from by room was amazing. Sports room was also available in the resort where we had fun in the evening. I must say that the resort is located at a very nice location. 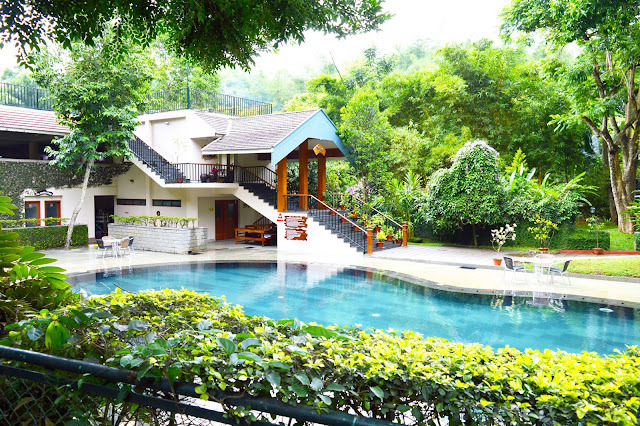 Gardens and Pool were all well maintained. The restaurant was also big and nicely built. Taste of the food was also up to the mark. We found no drawbacks. It is truly designed with the aim to provide relaxation to the visitors. That is, relaxation in terms of mind and soul amidst untouched nature. On the day of our stay when my phone was not working, they also allowed me access their laptop. Lovely! 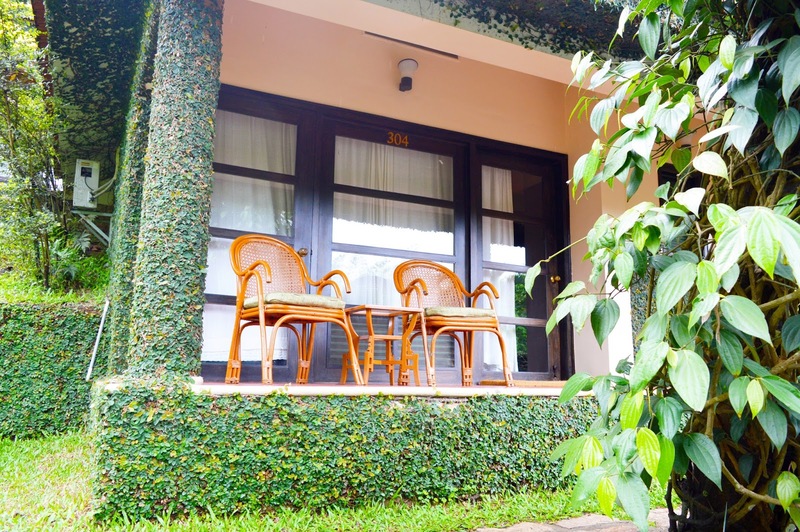 I would suggest going for your Ayurveda Massage Session in the resort to make you feel more cool and calm. 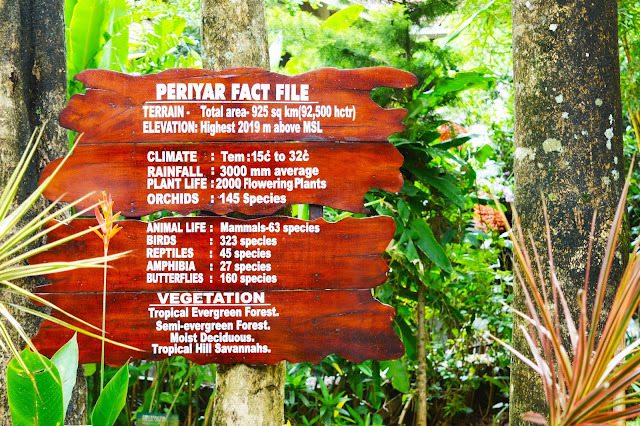 Periyar Wildlife Sanctuary is declared as the One of the prominent Tiger Reserve in India. 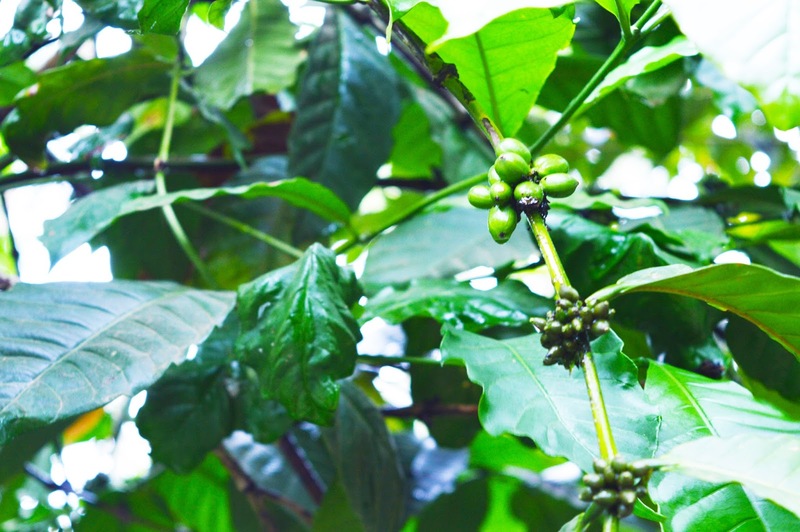 It is all surrounded by the spice plantation and Cardamom Hill. Sharman took us to the entrance where he showed us the way. Person at the ticket counter handed over its booklet. Truly speaking I was amazed with the number of activities they provide. Booklet consists of bunch of pages with all the fascinating images of all the activities. Activities include jungle Patrol, Bamboo Rafting, Jungle Camp, Border Hiking, Elephant Ride and few more. Charges for each activity are different of course. A trekking program is also organized for the visitors from morning 7 AM to Evening 3 PM. Otherwise the normal timings of the Park is from morning 6 AM to Evening 6 PM. It is advisable to get your tickets booked one day prior to your visit especially during Peak-Season. Entrance ticket to the park is different from the cost of any activity being performed here. We opt for the Nature Walk of Wildlife tour. It is a long tour though but worth doing as I got to experience being in nature for a while. Other varied animals that we got to see include Elephants, Deer, Pigs, Langur, wild dogs, Sambhars and Few more. For spotting wild animals it is always good to reach as early as possible in the morning. (Read here about our trip to JimCorbett National Park). Periyar Lake Cruise is an approximately 2 hours boat trip around the Periyar Lake and perhaps the most best and suited way to watch the wildlife in the reserve. Cruise timings start from morning 7 am to evening 6 pm and last ride that can be booked is at around 3 PM in the afternoon. Costing of Boat ride should not be confused with the entry ticket of the park and also it is advised to get it pre booked offline or online especially during peak season. It charged us an amount of Rs. 150 per person. Periyar lake is situated in the middle of the Sanctuary and is a great place for boating and watching animals. We consider ourselves lucky enough to spot few wild animals bathing at the bank of the river. Outrageous and Eye-Catching View! 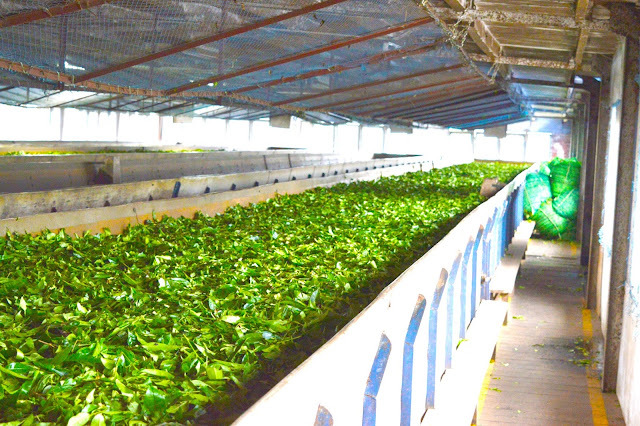 Visit to Harrisons Malayalam Tea Factory was another knowledge gaining activity done by us. I am much grateful to Sharman who made our journey even more memorable. The people I found at the factory are very calm by nature. One of Harrisons Tea Factory is located in Pattumalay in Idduki District of Kerala. The reception was kind of museum where lots of information regarding benefits of Tea and process of manufacturing was displayed. Different kinds of Tea were also displayed there with which they explained us the difference between all of the types of tea. By the time we were at the reception area it started raining. The climate is now ultra romantic and the smell of the spices and environment is now more vigorous. I was enjoying everything happening here at the most. 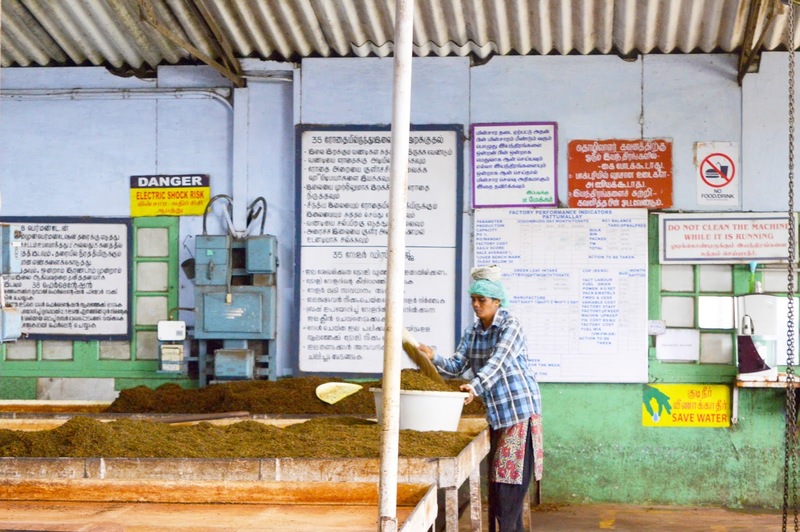 For the tour of Tea Factory where I and Nitin, got to learn about the processing of Tea and the machinery used in manufacturing, they charged us an amount of Rs 100 per person. Another person from the entrance gate of the factory came with an umbrella to help us reach the entry gate of the factory. This is because; the reception and the Factory are separated by some walking distance and is an open area without any roof. Another family at the same time joined us in the session. So we were around 5-6 people in the same session. Guide explained and showed us step by step process and the machinery used for the purpose. At the same time he was telling us the benefits of each Tea he was showing us. He also allowed us to touch and feel the difference in the product at each interval. This way we were able to judge the product at each step. He also told us that the bud of tea accompanying two leaves is used for making Green tea and the other accompanying three leaves is used in making Orthodox Tea. Wow. How the things are used and benefitted differently left me amazed. The people who are actually involved in the process do such a hard work. Hats Off! a. First of all the leaves are plucked keeping in mind the number of leaves with each bud. Green Tea is manufactured with the bud accompanying two leaves. b. These leaves are then boiled. c. Moisture is then removed partially from these leaves and the process is known as Withering. d. These withered leaves are then rolled. Rolling is done to achieve sizing. e. Then the leaves are partially dried and sizing is done again. f. Now the leaves are completely dried which means complete removal of moisture. g. At last, Grading is done depending upon the size of product. This is then packed and dispatched. d. It lowers stress and boosts brain power. e. It reduces High Blood Pressure. i. It re hydrates you better than Water. j. It boosts your Immunity Against illnesses. k. It helps preserve and build bone. See how terrifically a Tea can benefit us. It is just the difference in the sizing and the number of leaves. Wow! Amazing! Shop for Spices is something where we got stuck into but it is highly not recommended as per my suggestion. We encountered lots of spice gardens with private spice market on our way. We did visit many of the markets. The marketing skill of the people is praise worthy though but I suggest not buying stuffs from any of the market. We did buy few of the spices including cardamom, Coffee, Tea Leaves and Green Tea. I was excited at the same time on my shopping. I bought one pack of all these products. After coming home I divided all the items into 2-3 portions to be shared with my near and dear ones. As usual they also got excited on receiving the items shopped from Kerala as they have also heard of the origin state of the Spices. But after personally using these products and as per reviews from our elders the products are not genuine. It is just for their marketing purpose. The entire real product is used for exporting purpose. Nothing is saved for selling at the place of origin. Shopping for Spices and local stuffs from Thekkady is a big No from my side. Thekkady is a tourist paradise with many a sight to see.Its an important tourist attraction in the Kerala state. Do visit http://www.honeymoonpackagekerala.in/ amazing Kerala packages.